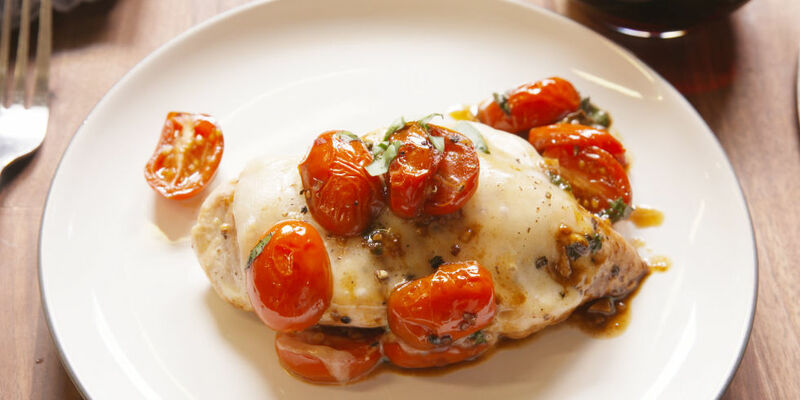 After living in Italy, I love Caprese, so this recipe for Caprese Chicken called my name! I can’t wait to try this recipe myself. In a Large Skillet, Heat the EVOO. Add the Chicken to the Warm Skillet. Season Both Sides with Salt & Pepper. Cook until Finished, Approximately 6 Minutes Per Side. Remove from Heat. In the Same Skillet, Add the Balsamic Vinegar and Garlic for Approximately 1 Minute. Add Tomatoes and Season with Salt. Let Simmer until Soft, Approximately 5 – 7 Minutes. Add Basil. Add the Chicken to the Skillet. Top Each Breast with a Slice of Mozzarella. Cover with a Lid. Serve. Spoon the Tomatoes over the Chicken when Serving. Just beneath, are many entirely not connected web pages to ours, on the other hand, they are surely really worth going over.